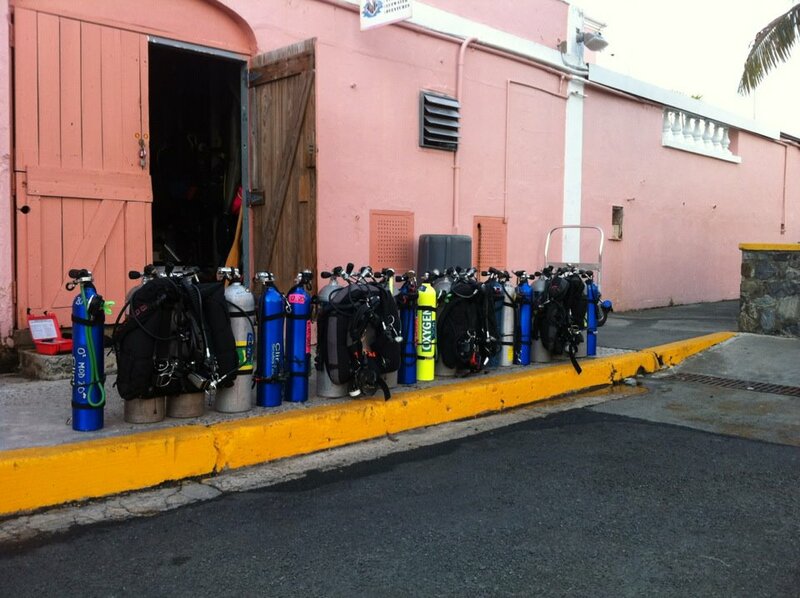 My favorite dive shop with the old pink door where they store the equipment and air compressor. 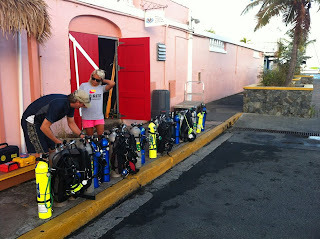 This is where we set for dives and rinse off after dives. The live web cam is just to the right, a handy bar is beyond that. Then one is just steps from the water and dive boat. When I was there a few weeks back I notice the door had been replaced. Now the door has been painted in diver down red. Some dive people sure are beautiful, aren't they? Gigi refers to the guys as eye candy. I just keep my trap shut. Actually, that one guy kinda is eye candy. 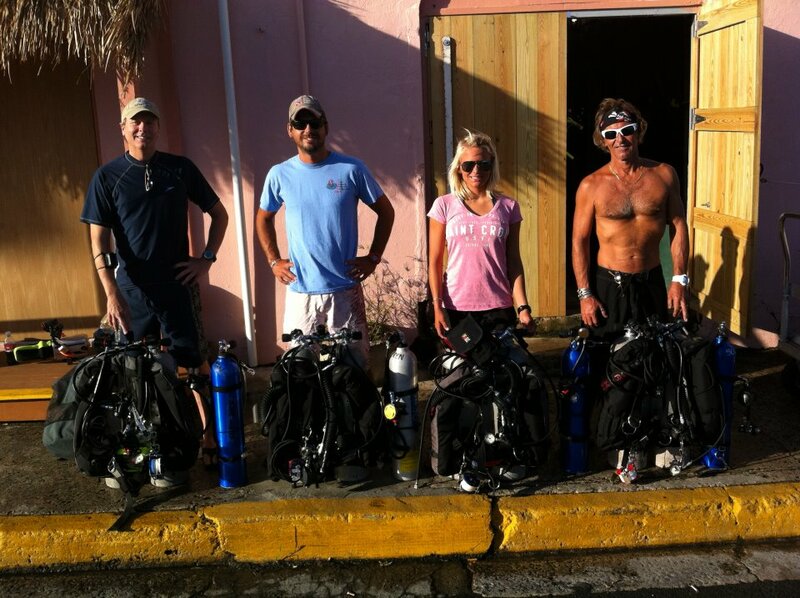 I have new motivation to take up diving! EYE CANDY!